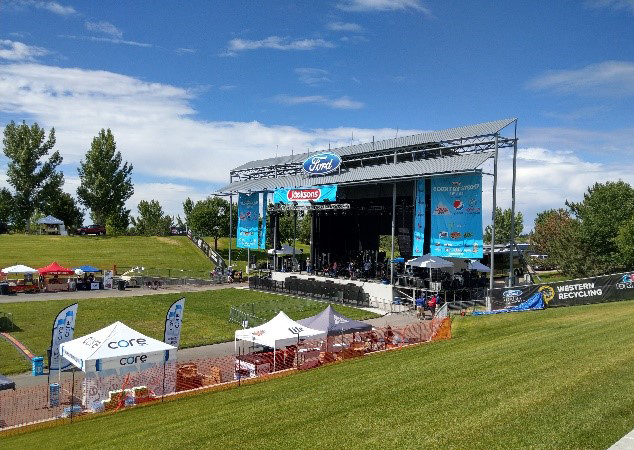 Jacksons Food Stores, Inc., one of the largest privately held corporations in Idaho, needed to drive awareness of the company’s Let’s Go Rewards program at their fifth annual Country Stomp 2018 held at the Ford Idaho Center. Jacksons sponsors, organizes, and sells tickets to the concert at their various locations. Jacksons partnered with GSP to help increase their ROI, build their brand and drive awareness of their rewards program. By designing and installing oversized banners and on-stage backdrops, we exposed their brand to thousands of attendees. This highly visible, strategically-placed signage showcased the benefits of their Let’s Go Rewards program. Our powerful graphic designs were viewed by over 10K concert-goers—a record number of Country Stomp attendees—creating a positive impact on the venue. Jacksons reported a significant increase in their Let’s Go Rewards program sign-up and participation following the Country Stomp event.